I don’t know how many times I’ve mentioned this before: I’m a sucker for second-hand books. Sunday’s Greenhills date would not have been complete without checking out BookSale. We walked out of there with almost a thousand pesos worth of reading material. Haha. I’ve said it before, with the books we have in this house, we would be wise getting into business to sell used books. Apart from this pile, we got one for the boyfriend, and a PC Utilities magazine too. That last one turned out to be a good find but I’ll blog about it more some other time. 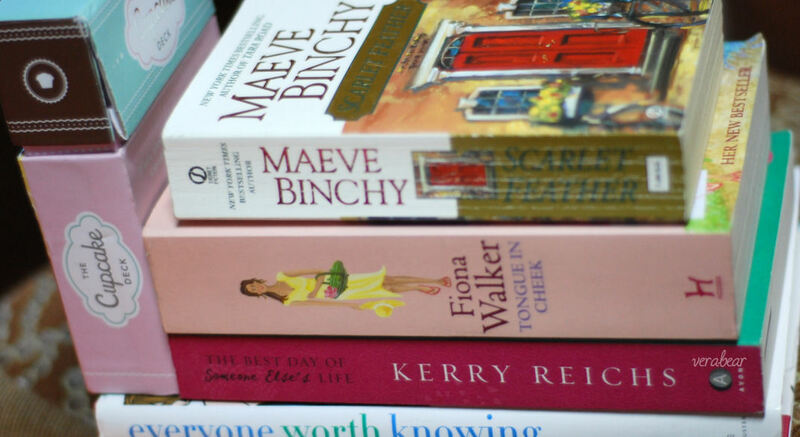 Maeve Binchy is one of my favorite authors, the last one of hers that I read is Quentins. And I almost didn’t get it. After all, I still haven’t really baked anything out of The Pioneer Woman Cooks which I finally got back in February, and it’s been a long time since I took out my Field Guide to Cookies. And then there’s also my Hello, Cupcake! book that’s sitting in a dark cabinet. I just don’t want this one to meet the same fate. Besides, it’d be a waste of money to buy something and not use it. Could you have resisted these? 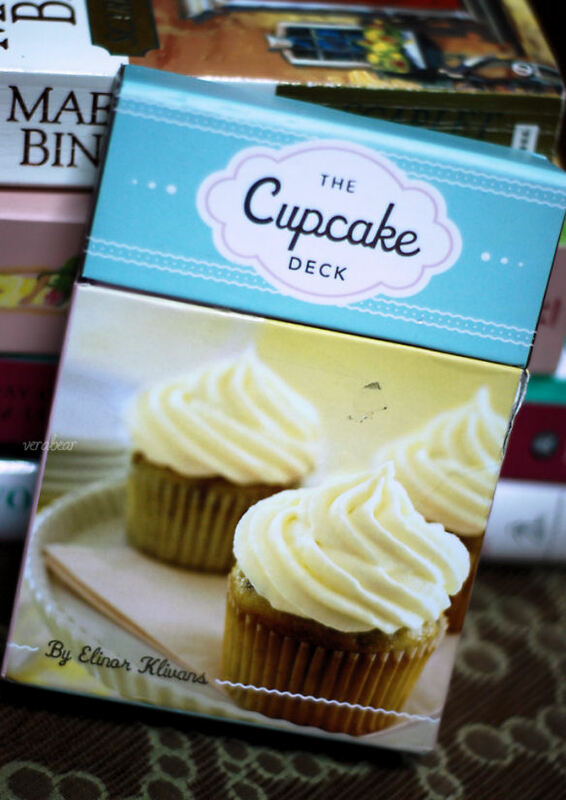 The Cupcake Deck has 25 cupcake recipes in individual booklets. No need to copy the recipe onto an index card. 🙂 The photos are great too. The deck makes for a nice gift. The box I got isn’t mint condition though (2nd hand remember), it’s breaking apart at the seams, but I don’t mind. This is one of those films that really followed their own take than stay true to the novel that was originally written for young kids. First I would like to say that I liked that movie and think that it is still worth watching. But I will also have to say that I like the book more. Okay, so we say that very often but this time is a bit different. I actually felt disappointed and a little let down. I guess I was expecting a lot from a Chris Columbus film. Percy Jackson was supposed to be 12 years old when the series started. The actor looks nowhere like he was in sixth grade. He looks more like a highschool freshman or even older, and resembles Zac Efron of HighSchool Musical fame. He is cute though. 🙂 As for Athena’s daughter Annabeth, wasn’t she supposed to be blonde like her mom? I like her, she’s pretty and has personality, but she just didn’t fit the description. And where was her cap of invisibility? Clarisse, daughter of Ares, was nowhere in the film. Now I wonder, if they ever come out with the sequel, how do they introduce her and her history with Percy? Oh, Ares was nowhere in the film too. And come to think of it, was Kronos even mentioned? There was no Oracle too, and no quest. I’m also not very happy about how they presented Camp Half-Blood Hill (Mr. D was missing too). It seemed so medieval. The boyfriend says it was very Spartan-like. The Camp was supposed to look like just any other camp, and the campers wearing shorts and t-shirts. No, in the movie they wore armors and they had old-school cabins. Chiron also knew beforehand who Percy’s dad was, instead of having to wait for it to be revealed. So that meant that Percy didn’t have to crash at the Hermes cabin at all. There were other points of departure from the novel, and I probably won’t be able to name all of them now. Now I realize that all I’ve got to say are criticisms, aren’t we normally like that? If I didn’t read the book prior to seeing the movie, I might have appreciated it more. All in all, it wasn’t a very memorable movie. Since posting about this book and watching the movie, I have read books 2 and 3, and have liked them even more. There is more excitement in the next books. I just started with the fourth book today. There is one good thing that came out of this weekend though. I finished Percy Jackson and the Olympians: The Lightning Thief! I haven’t seen the movie, but we’ve had the book for probably over a year. Alfred read a review of the book on the paper so we went ahead and found a copy. Kaya lang, I never got the chance to read it until now. It’s really a book for children, it’s pretty much straight to the point. There’s no long description of the setting or the characters, so they’re not giving you much time to get bored. On the downside, there’s really not much room to let your imagination roam either. Oh they did take a few lines describing Hades’ realm, and then briefly Olympus. It did kind of force me to think about mythology, a subject that I haven’t thought much about since reading my brother’s high school book of mythology when I was a lot younger. Here in the Philippines, Greek and Roman mythology is discussed in third or fourth year high school, but our English curriculum didn’t seem to have adhered to that. We tackled only a few stories, if I remember correctly. So I’ve forgotten much about mythology, and Percy Jackson is a good review. If you want your kids interested in mythology, Percy Jackson and the Olympians is a good way to start. Click on the image above to read some reader reviews and even an interview with the author, from Amazon.com. This post is inspired by the article of the same title, from the magazine Entrepreneur, January-February 2010 issue. Lately, I have been browsing through magazines quite a lot. I even bought some back issues of Yummy and Food magazine, while the boyfriend got himself copies of old Maxim and FHM. I try not to buy too many because I still have quite a number of books that I haven’t even touched since I bought them. 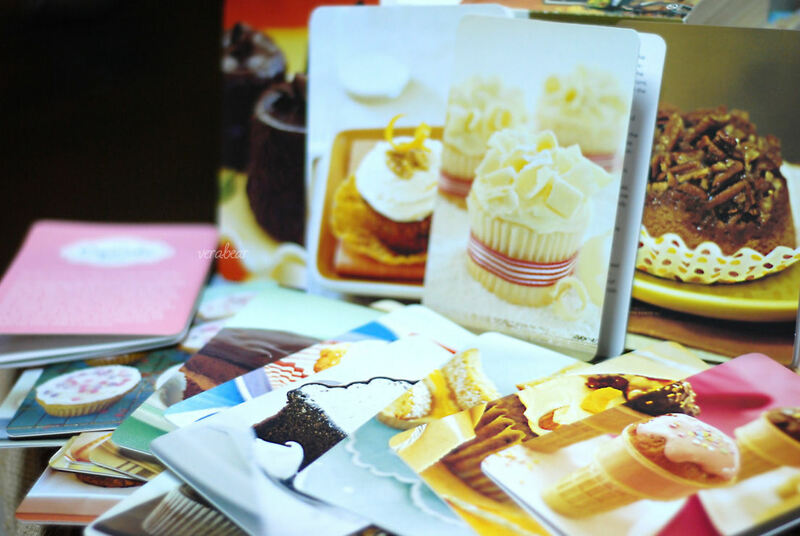 Besides, I figured I should try at least one or two recipes from the foodie magazines before I bought additional ones. Two weeks ago, while waiting for the boyfriend to meet up with me at the 7/11 store outside my office building, I was compelled to purchase a magazine so there’d be something to do while waiting (he made me wait for almost two hours!). There were a lot of showbiz magazines on the racks, but I didn’t want to spend on those. So I picked Entrepreneur. On page 29 of this issue is an article by Henry Ong, President and COO of a financial consulting firm called Business Sense. In it, he outlines how he suggests one may setup a savings plan. That’s exactly what I need! Okay, that’s not really the reaction it elicited from me. Personally, I had an idea for how I could save, and a year or two ago I was really following a budget that I would set every payday. But I’ve fallen off the bandwagon and I want to get on again, and this time take the boyfriend along with me. Start immediately. Easy enough. I commit to starting right away so I’ve already transferred the money I got left from my previous paycheck to my savings bank account. Check (did on payday Friday). I signed up the boyfriend to commit to saving as well. He’s onboard. Allocate savings. For starters, I’ll commit to saving 10% of my paycheck. Ong suggests starting at a lower number and then incrementally ramping up to your ultimate goal. Start with 3% for example, and increase it to 6% after three months. This is to get yourself accustomed to it. Makes sense, specially if a lifestyle change is in order. In my case, I think the need to save is more urgent. I don’t want to have to wait. The article also mentions that the amount you allocate for savings will also vary, depending on your age. If you’re already 50, perhaps 20% would be a good target. For the boyfriend, I have asked him to turn over 3% of his next pay. Regardless of how much he gets and how much he needs for his expenses, he will have to give me 3% so I can keep it for him, as savings. Imposing am I not? Yes. We need to do this, for both our sakes. 🙂 He’s agreed. He also expects this to get bigger eventually. We both know it’s doable. Pay yourself first. The 10% from my paycheck and the 3% from his, will be deducted even before any expenditure is done. This will be deposited to a separate bank account. I have my own and that’s where mine will go. We’ll open a separate account for him. Contribute more to your savings. We’ll classify our expenses – needs versus wants. I’ll also draw up a budgeting plan. At the end of the two weeks (normally the time it takes until the next payout), whatever is left will go to savings. We each are supposed to get performance bonuses. That’s where we’ll get money for rewards. No bonus, no rewards. We’ll still try to keep some of the bonus and add it to our savings. Monitor your plan. This is a plan, it may work, but it could also fail. What we have at this point is a commitment to make it happen. We’ll re-evaluate it after sometime. Adjust our goals according to our needs and actual expenditure. In time, if there’s enough to invest, we’ll study our options. Sometimes it also helps if you have something concrete that you’re saving for: a house, a car, a wedding, or in preparation for a baby. Say for example, you’d like to get yourself some life insurance. First thing to do is to get some information on life insurance rates that would be suitable for you, once you have an idea then you divide that amount by the number of payouts that you have to make up the budget (or for the monthly payable, for example). That should give you an idea how much you really must set aside from your salary. Makes sense? Since losing a whole lot of books when Typhoon Ondoy wreaked havoc in our home, I’d been really sad and disappointed about their fate. I haven’t even read many of those books, while others were books I wanted to keep. One of the children’s books I lost was a treasure – I Can Tell Time. It’s no classic, but it was the very first book I received as a birthday present from my parents. The inscription inside, in my mother’s handwriting is something I cherish. The exact words are lost to me, but I will remember the message forever: now I was being introduced to books, and they will teach me many things and take me to different lands. Of all the books we’ve had to throw out the morning after, it was that one that pained me most. I told myself I would stop compulsive book-buying – something I do almost every other week when I passby the second-hand bookshop at The Loop. I won’t buy books faster than I can read them anymore. Here I am though, three months later, and I’ve already accumulated a (tall) pile or two. Last year, I got a book (Confessor/Goodkind) and chocolates for Christmas. At the non-agent Christmas GA this year, I also got the book I wished for (Certain Girls/Weiner). We’re having a year-ender party on Sunday and I am expecting another book (or two) and chocolates. We’ll exchange gifts with my Tier2 team next Friday, that’s where I hope to receive the two books I put up on my wishlist. Next comes another dilemma – where to put all these books? My mom has been taking our books to her office and her guests are free to take them. They don’t have to take them back. My dad doesn’t really care about collecting the books (not even the Cusslers or Ludlums, though my mom leaves those untouched), once he’s read them, they can stay on a bookshelf forever and he wouldn’t pick them up again. He has been known to purchase a book we already own though, haha. I’m not that way. I’d rather keep all of them for myself. I think of rereading them again someday. Or of accumulating enough books for a vast library where my future kids will grow up and revel in. But we don’t have space for a library. There are some books though that wouldn’t be too difficult to let go of. I wouldn’t mind not owning them forever. But those are very very few (at least from the ones I bought myself). So I’m thinking, after reading a particular book, maybe I’ll blog about it somewhere and sell it. Or lend it for a fee. Or something. Or maybe I’ll leave it lying around somewhere and anticipate until someone finds a way to get it back to me.